As almost half of Americans now carry almost no cash on them when they go out, those that do fail to have even $50 on them. That means that when it comes to making major purchases from any business, most people, even business owners, will need to use a credit or debit card. If you sell directly to consumers or to business owners while on the go, mobile phone credit card readers are a must. Here are five things you need to know about the best credit card readers for mobile phones. 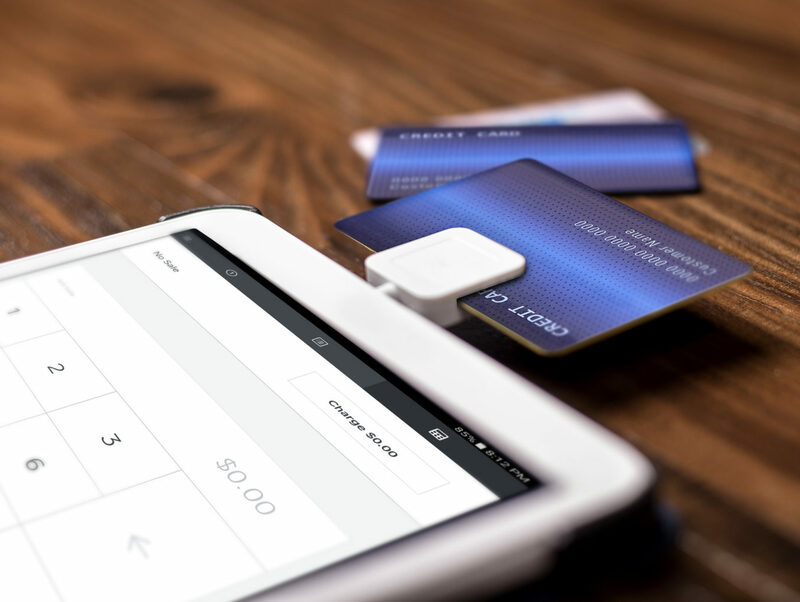 With a portable card reader, it’s never been easier to make money as a merchant. You can sell to anyone anywhere when you can process cards wherever you go. The benefit of having a reader is that so much of selling comes from your ability to talk to your customers face to face. When you have a card reader, you can work the convenience of buying into your sales pitch. Setting up a permanent sales space is hard for the average small business. Real estate prices in commercial areas are too expensive and out of reach for a startup or a business that’s trying to grow. Trade shows, pop-ups, and seasonal markets are attracting people who used to get excited for a mall to open. If you can accept any form of payment, you’ll be able to sell to anyone at these events. Whether you’re a wholesaler or a retailer, you can sell more products with your business card reader. Business card readers could be useful for selling $1 cups of coffee from your coffee cart or they could be useful for a business that’s calling on new clients, for a first time sale. Plumbers, tow truck drivers, mechanics, and even medical specialists need to be able to accept payment on the go. Those workers who have to travel to their clients might not be able to bring their whole payment apparatus with them. Instead, a business credit card reader for their mobile phone allows them to accept payment wherever they go for any service they provide. Invoicing and waiting for payment can take months to recoup. When business owners, entrepreneurs, and mechanics show up with the ability to accept payments, they have no longer have to worry about checks that are NSF or slow funding. These card readers can help any business scale. With just an mobile phone, you can turn your business into an enterprise. One of the most important things to any business owner is to have tools that are flexible. Tools that are compatible with one another and will integrate together and ensure that you don’t have to carry around a ton of equipment everywhere. When your mobile phone business card reader is able to accept payments, there’s always a record of that payment attached. What happens to that record next is vital to having a strong accounting system at your workplace. When you run a credit card, you could set up a system that adds that transaction to your accounting software. That software s shows your total sales every day. As your sales are totaled, you can recalculate your payments and losses to ensure that you’re on top of your finances. This kind of compatibility and integration is vital to a well-functioning and healthy system. Make sure your mobile phone card reader can work with your other financial software to ensure smooth transitions and accurately updated data. This can save you lots of time overall, and time is money. No matter what kind of tools you use to accept payment, they should be easy to use. Wasting hours training permanent or temporary staff to help you out could result in lost revenue. With the average credit card reading tool, you should be able to plug it in after downloading the app and be ready to start working. If you have to read a manual, reconfigure your system constantly, or call customer support every day, it’s not the right system for you. Your card reader should integrate with your mobile and the other systems you use with simplicity. It should be able to run any kind of card without hassle. When you sign up for the best credit card readers around, you should be able to pay up front with no hidden fees. Flat rate pricing means that you pay one fee monthly and then use your reader as much as you want, as many transactions you need for one low cost. You should be able to cancel without having to deal with any other fees. Some companies will charge you a fee just to quit using their service. Some now even estimate your earnings for what the life of the contract would be, and charge accordingly. You need to use a service that won’t put you through that. Buying a terminal to read cards is your best bet. That way, you won’t pay any overpriced leasing fees for equipment that has become outdated soon after the lease is up, or even before. Terminal prices have dropped greatly over the last couple of years. Rather than getting stuck in a lengthy contract that will keep you tethered to an inadequate terminal, you can get the right equipment up front and only pay for processing. Another good tip, is to ask up front whether you can switch providers with the terminal you’re considering buying. Sometimes providers lock them to keep you from using the terminal with a different provider, even though you own the terminal. If you’re going to run a reputable business in this era, having credit card readers for mobile phones on hand allows you to process payments quickly and easily, anywhere. Your phone could be your best sales associate when you give it the power to read any card at any time.